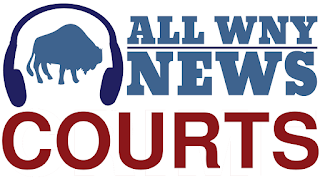 BUFFALO -- A federal grand jury has returned an indictment charging Tyler Craig Anderson, 27, and Robert Lincoln, 26, both of Jamestown, NY, with conspiracy to make false statements to purchase firearms, which carries a maximum penalty of five years in prison. In addition, Anderson is charged with possession with intent to distribute cocaine and marijuana, maintaining a drug involved premises, and possession of a firearm in furtherance of drug trafficking crimes which are punishable by a mandatory minimum five years in prison and a maximum of life in prison. Assistant U.S. Attorney Timothy C. Lynch, who is handling the case, stated that according to the indictment and previously filed complaint, the Ellicott Police Department received complaints from area residents regarding suspected drug dealing at Anderson’s residence. According to residents, there were frequent and short visits by a number of people driving a variety of vehicles. As a result, law enforcement officers conducted controlled purchases of cocaine from Anderson at his residence on Willard Street Extension. Law enforcement officers learned during those controlled drug sales that Anderson had a number of firearms at his residence. On March 9, 2018, law enforcement officers executed a search warrant at Anderson’s residence and recovered cocaine, marijuana, drug paraphernalia, 14 firearms, and ammunition. The defendant was taken into custody at the scene. Subsequent investigation determined that at least three of the firearms were purchased by defendant Lincoln at a sporting goods store in Russell, Pennsylvania. Lincoln completed the required federal forms stating that he was the purchaser of the firearms, but shortly thereafter, he turned the firearms over to Anderson. According to the complaint, law enforcement officers reviewed a Facebook page believed to be operated by defendant Anderson. One post read, "I gotta bout 30 guns and I love em all the same bang bang 'merica." Another Facebook user commented, "And get them all taken the same when they say you can't have them anymore." Anderson responded, "They' re gonna have to kill me mane [sic]." The indictment is the result of an investigation by the Federal Bureau of Investigation, under the direction of Special Agent-in-Charge Gary Loeffert, the Jamestown Police Department, under the direction of Chief Harry Snellings, and the Ellicott Police Department, under the direction of Chief William L. Ohnmeiss, Jr.